All Hyde Park homes currently listed for sale in Hyde Park as of 04/20/2019 are shown below. You can change the search criteria at any time by pressing the 'Change Search' button below. If you have any questions or you would like more information about any Hyde Park homes for sale or other Hyde Park real estate, please contact us and one of our knowledgeable Hyde Park REALTORS® would be pleased to assist you.
" An unexpected job transfer precipitated the move from this beautiful east bench Hyde Park home. Filled with upgrades, this custom 6 BR, 5 BA home is designed for entertaining! It has an amazing great room with a gorgeous stacked stone fireplace & built-ins, soaring vaulted ceilings, main floor laundry, & cherry hardwood floors. The huge, custom kitchen features a large dining area plus an island, custom cabinets, gleaming stainless steel appliances, & beautiful granite countertops. The light-filled walkout basement features a theater room & a huge family room (the pool/ping pong table stays), as well as spacious bedrooms & baths. The views from the covered deck, 2 covered patios, & the front covered porch are the definition of gorgeous. The lot is spacious & beautifully landscaped, & the oversized 3 car garage will make you drool. 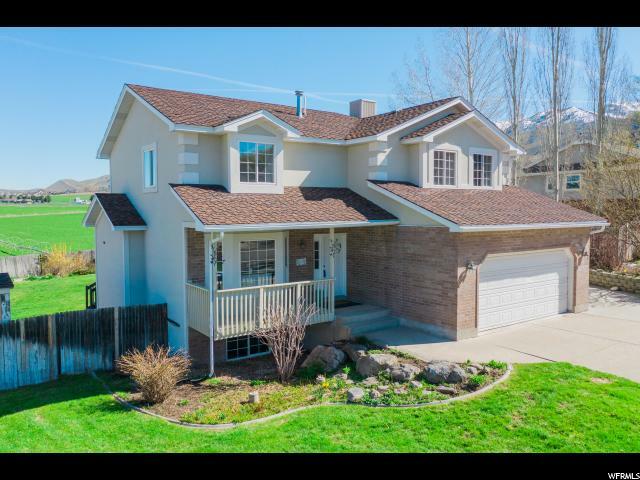 Move-in ready & priced to sell, view this upgraded home today! (Square footage figures are provided as a courtesy estimate only & were obtained from county records. Buyer to verify all information.) By clicking on the TOUR link, you can take the 3D video tour & see the interior!" 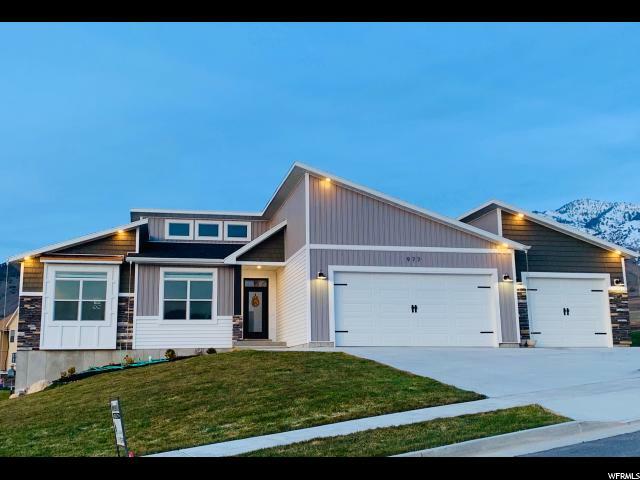 "GORGEOUS home that was featured in the PARADE OF HOMES! 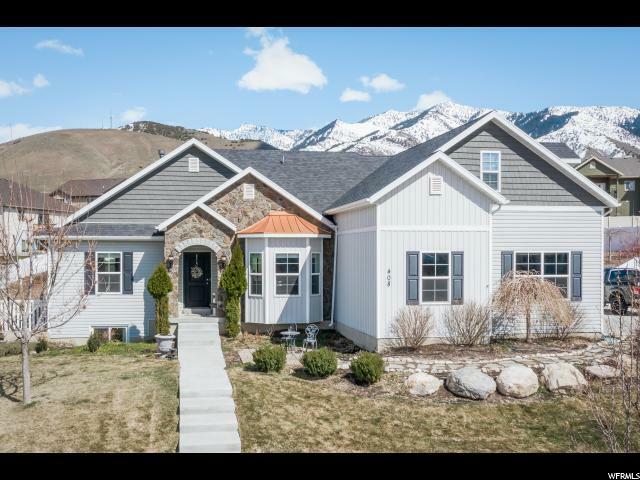 This home has all of the extras including a spacious open floor plan, beautiful kitchen, large master suite w luxury master bath, large bedrooms, storage, amazing location and a large fully finished and fenced yard. Call today to see this stunning home in person! " "OPEN HOUSE SAT April 27th 2-4 pm Why Build? This Gorgeous Home is READY with ALL the Extras! Many Custom Additions...10' Ceilings, Trans Windows, Soft Close Cabinets, Bamboo Shades, Barn Doors, Walk in Pantry, 967 Sq Ft Garage, Floating Vanities AND the Landscaping's all in ! More quality features than you'd ever imagine. Simply the BEST! 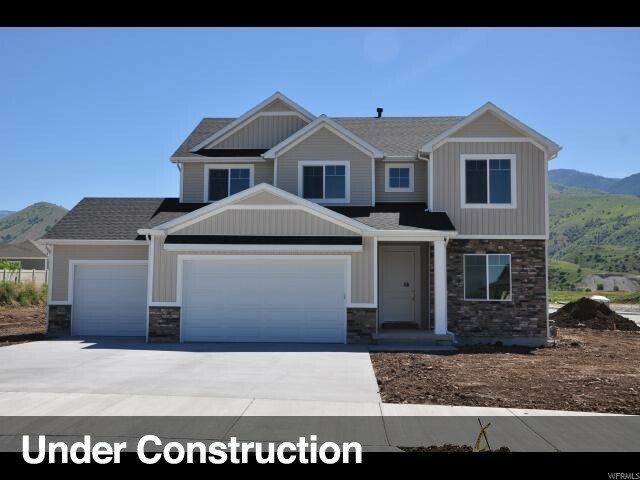 AND Location, Location in the NEW Juniper Ridge Subdivision in Hyde Park by the New Green Canyon High School. Better than Building!!" "This immaculate 2-story is better than a new build with all the beautiful landscaping already done! 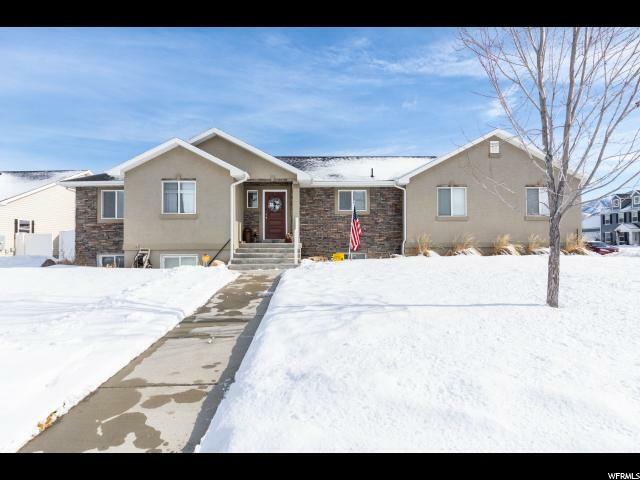 You will love the huge .4 acre yard on a quiet cul-de-sac with an in ground trampoline and walkout basement The huge 2nd level features 4 beds and an extra family room, large master bed and bath with separate tub and shower. There are so many reasons to love this home, schedule your showing today. " "BRAND NEW RAMBLER! This amazing and open floor plan has 3 bedrooms and 2 full bathrooms. Incredible mountain and valley views match the beautiful exterior with natural stone. Spacious the 3 car garage with insulated garage doors. The kitchen is light & airy with a kitchen island, custom made cabinets, granite counter tops and spacious pantry. Take a step into the main-floor master bedroom and you will fall in love with the tray ceilings, beautiful master bathroom with granite counter tops and separate tub and shower. You will be amazed at the size of the walk in closet! Other. The unfinished basement has plenty of room for 3 other bedrooms, a full bath, and a big family room. Attention to details and functionality is a trade mark on this floor plan. One year Builder Warranty and 10 year Structural warranty included. Call agent for more details." 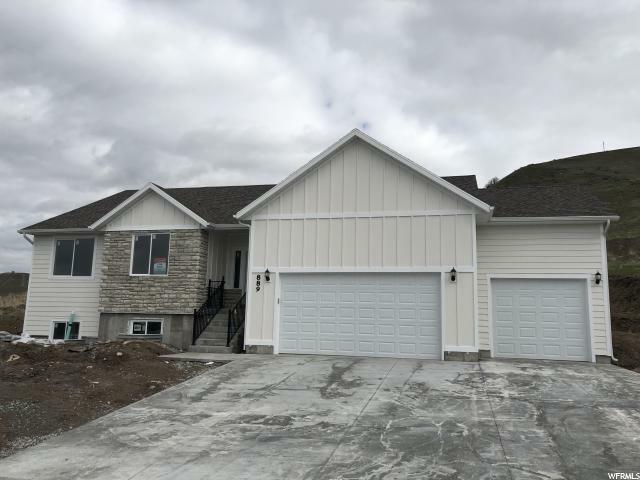 "Brand New Home- Open Floor Plan 3 Bedroom (either 3 bedroom or 2 bedroom 1 office/study) , Coffered Ceilings, Gas Fireplace and so much more!!!" "**Virtual Matterport home tour coming soon** This 3580 square foot home with 6 bedrooms and one full, two 3/4 bathrooms was built in 1995, Exterior and interior remodeling upgrades and additions of a spacious master bedroom, master bath, walk in closet, covered back patio deck and roof, were completed in 2008. The kitchen is roomy and has a gas range and a second electric convection wall oven.. There are 4 bedrooms on the main floor and 2 in the basement. There is a craft room and storage room in the basement as well. The home has 2 family rooms and an entry living room. A mud room with shelves, lockers and a salon sink greet you off the garage. The laundry room is also on the main floor. The yard has mature trees in the front and back.. There is a garden space, as well as raspberries, peach trees and perennial flowers on the property. Irrigation water .50 share transferable to the new owners of this beautiful home. Yard is fenced on both sides and back property line. This is a wonderful, peaceful community to live in. Short drive to Utah State University, Green Canyon, Cherry Creek, Logan Canyon or Shopping. (Square footage figures are provided as a courtesy estimate only & were obtained from county records. Buyer to verify all information.)" "This is a MUST SEE!!!! PRICE JUST REDUCED! 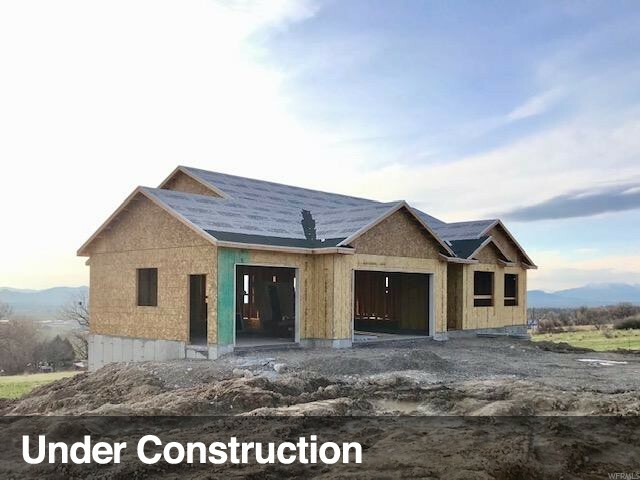 This beautiful home will be ready to move approx. the first part of May! The pictures don't do it justice!!! Pictures are of a previous model home. Come and visit our Aberdeen home in The Cove The Cove located in Hyde Park has been a very popular community due to its location. Open Concept with 9' Ceilings throughout the main floor, third car garage, and extended dinette. Gorgeous amenities included: ceiling height cabinets, granite counter tops in kitchen and master bath, large soaker tub in Master Bath, fireplace in great room and much, much more. Schedule to view this beautiful home today!!! " 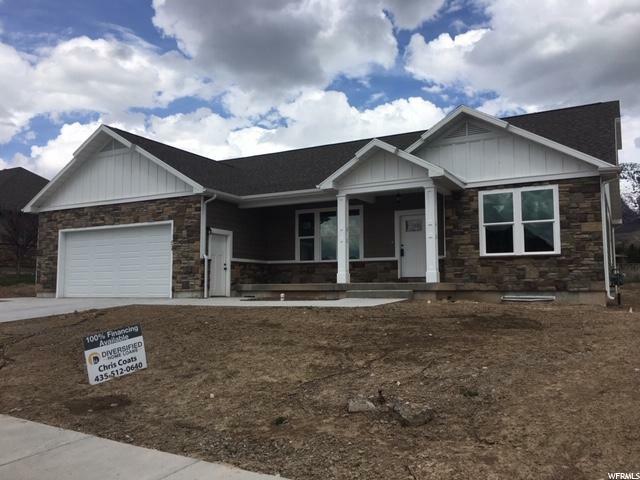 "Brand New Home Available in New Community! 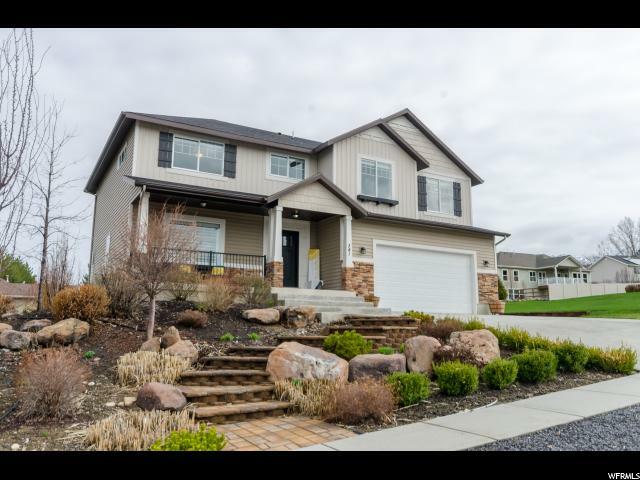 Gorgeous rambler with 3 car garage and stunning high end finishes through out the home. Currently under construction, all finishes have been chosen and will also include a 1-year whole house warranty. This home boasts Smart Home Features, 9' ceilings, Quartz Countertops with Stained Custom Cabinets in the Kitchen, a large entertaining area, and luxurious Master Suite. 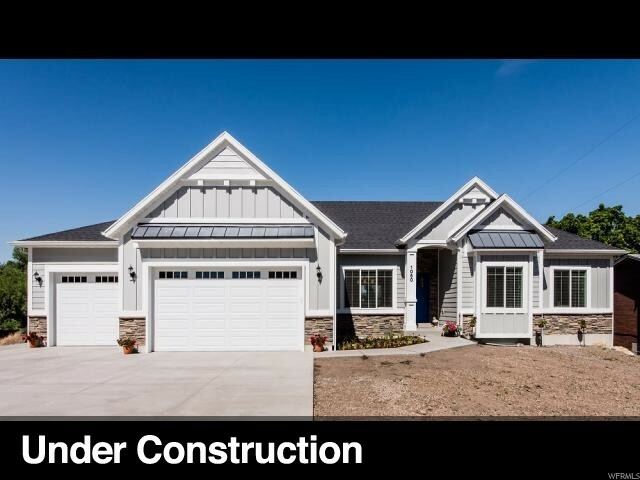 Built for Living, the builder has also included great storage options both inside the home and garage. Call today to see this stunning home and visit the builder's design center to view the color options. Photos are of an existing home, colors and materials will vary. Square footage figures are provided as a courtesy estimate only and were obtained from building plans. Buyer is advised to obtain an independent measurement." "NEW CONSTRUCTIONS in Hyde Park. 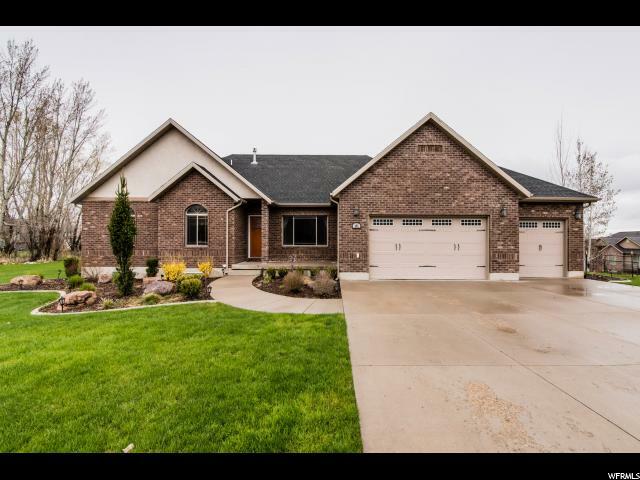 Beautiful Rambler/Ranch with 9 ft ceilings throughout with 11 ft ceilings in the Great Room. Beautiful fireplace in Great Room. Master bedroom has large windows and the views from this home are outstanding. Includes a 3 car garage and a large 12 x 16 ft patio. 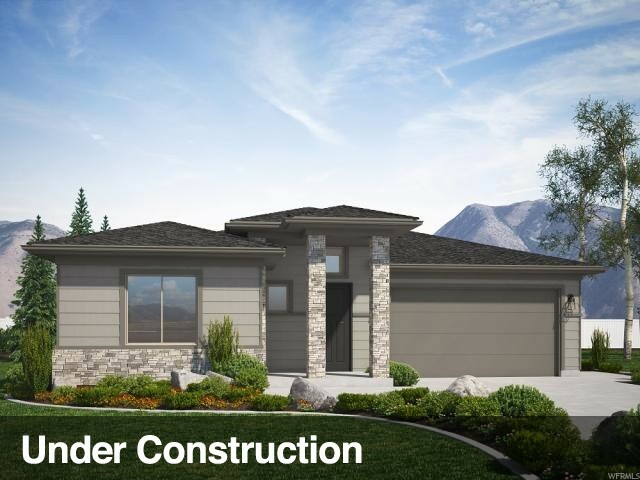 Loaded with upgrades such as custom kitchen cabinets, huge kitchen island, tiled kitchen backsplash, Stainless Steel appliances, mud room bench, quartz window sills, Grand Master bath with quartz surrounds and dual vanities. This is a must see! *Photos: Some Exterior and Interior pictures may be of the same home and may be off the same floor plan but are of a different home in a different community. * Square footage obtained from the floor plans. Buyer/Broker to verify all information." "Looking for new construction? Be sure to compare this home to your list! Sellers have updated almost everything in the home in between 2011 and 2019. Ready to move up from that starter home? Into something affordable, clean, modern, roomy, functional, and with gorgeous views? This is the home for you! This home has had a complete makeover! New vinyl flooring, carpet, paint, light fixtures, hardware, stucco, oven, and more! Fully finished home with unique stairways, over-sized rooms, plenty of closets, decks, fully landscaped yard, RV pad, concrete curbing around flower beds, garden space. Attic insulation is R-49. $500 Home Warranty included. Vacant! Ready to move in! Owner/agent"
"Enjoy the beautiful, corner lot in desirable Hyde Park! Great open floor plan, which allows for entertaining space. Located just a few short minutes away from Logan. You'll love the over sized master bedroom with big walk in closet! Full bathroom on each floor, and that backyard that's fully fenced." "PRICE REDUCED on this gorgeous home! This is a must see! A brand new patio home floor plan, complete with all of the upgrades! 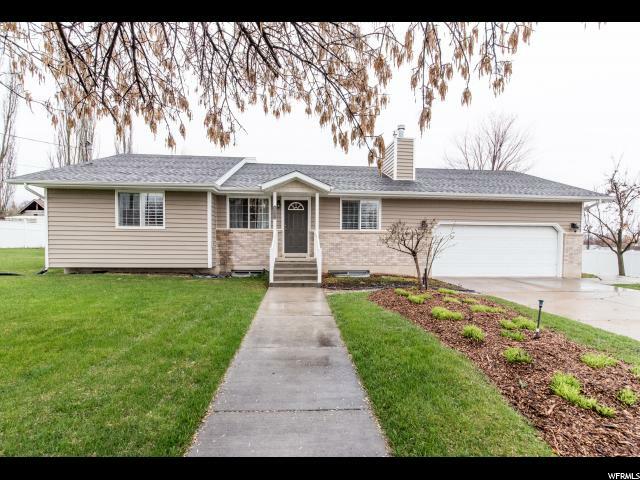 The curb appeal of this prairie style exterior with gray and white finishes is one of a kind! inside, the home boasts a welcoming fireplace, warm brown cabinets with a white accent island, and white Quartz countertops. The Master Suite offers a large walk in closet and private bathroom with easy step shower. Open Concept living area and two additional bedrooms allow for convenient hosting or comfortable living. Control4 home automation is installed and included with purchase including programmable smart thermostat, RING video doorbell, programmable exterior lighting, LiftMyQ garage door opener, and much more. Quiet location is easy access to shopping, restaurants, and recreation. Call your agent today for access." 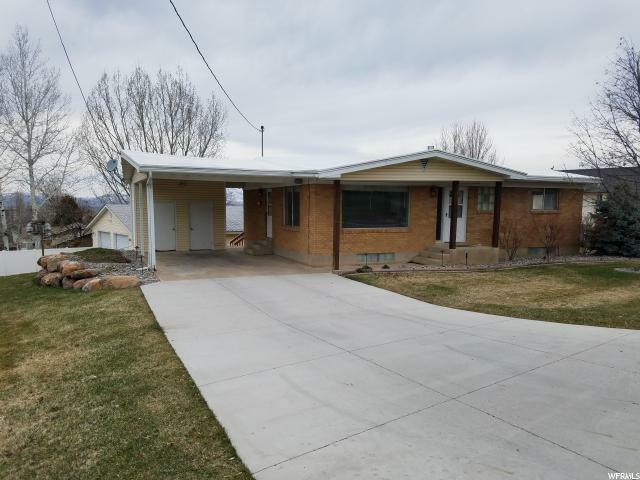 "3-bedroom rambler, deck with valley views, basement game room with kitchen. Heated 33'x33' shop, fenced parking for toys. VA, USDA"